DRAKESBORO - Linda Joan Coin, 69, of Drakesboro, died Monday, August 31, 2015, at West Meade Place in Nashville. Mrs. 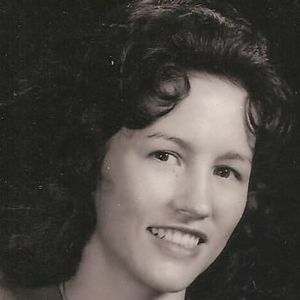 Coin was born June 19, 1946, in Bevier. She was a ward clerk at Regional Medical Center and a CNA at Belle Meade Nursing Home. She was preceded in death by her parents, Wilbur and Eria Engler Johnston; brothers Herschell Johnston and Howard Johnston; sisters Katherine Dukes and Virginia Bell; and daughter Krista Lynn Coin. She is survived by her husband of 36 years, David Coin; sons Tony Coin of Madisonville and Trevor (Angie) Coin of Greenville; daughters Kathy Ralston of Greenville, Tammy Coin of Greenville, and Beth Gidcumb of Belton; brothers Carol (Christine) Johnston of Madisonville and Bill (Marilyn) Johnston of Rolling Meadows, IL; sister Sue Mefford of Drakesboro; sister-in-law Donna Johnston of Greenville; seven grandchildren; three great-grandchildren; and several nieces and nephews. Funeral services will be Thursday, September 3, 2015, at 2:00PM at Tucker Beechmont Funeral Home, with Bro. Floyd Steele officiating. Burial in Drake Cemetery. Visitation will be Thursday after 11:00AM at the funeral home. Online condolences may be made at www.tuckerfuneralhomes.com. I spent many happy days visiting with my cousins Linda and Sue when we were children. It was always a treat to come and see Aunt Eria and Uncle Wilbur who always called me squeaky because of my high pitched voice. Sue and I were closer in age and went to school together. But Linda was always kind to me and when my Dad died she sent me pictures of him when he was a child. I treasure them still. Just wanted to say so sorry to hear of Linda's passing. I remember her from Kellwood where I worked with David. I will be praying for the family. She will be missed by the many people that her life touched, including ours. What a great loss! Prayers for the family! Lost u to soon,u always been there as long as I can remember if my mom was gone or working it was u that was there all I had to do is call, left me with great memories and good times to remember ,I love u and will miss u forever and a day ,rest in peace my sweet aunt and know I will see u again .